Enjoy your breakfast in the hotel at Fort Kochi before starting your trip to Munnar. We will proceed on a drive to Munnar and will stop in the waterfalls on the way. You can also stop at Neriamangalam bridge to watch Periyar river . Take pit stops on the Valara waterfalls and Cheeyappara Waterfalls on the way to Munnar . Check into the resort . Overnight stay at the resort in Munnar. Checkout from Thekkady and Proceed to Kumarakom to check into resort. it is one of the most exhilarating tourist place located on the Vembanad Lake. Surrounded with mangrove forests and coconut groves, Kumarakom is the center for houseboat Cruises and provides sightseeing experiences that are truly breathtaking. Checkinto the resort and enjoy backwaters . Enjoy the lush evergreen backwater resort.Overnight at the resort. After breakfast check out from the resort in Kumarakom and proceed to Alleppey. Starting from Alleppey we will take you through sights of paddy fields made from Lake during the ruling of King and here cultivation happens below sea level) and will pass through multiple backwater canals and return back to Alleppey. Enjoy the scenes in a Kerala country side in a backwater cruise -skim past Chinese fishing nets, bowed down paddy fields, local inhabitants engaged in making coir products, rustic homes and swaying coconut palms. Overnight stay at houseboat. After breakfast, checkout from Alleppey Houseboat and proceed to Kovalam. Arrival and transfer to beach resort in Kovalam. Relax in the resort and in evening visit the famous Kovalam beach, light house beach etc. Kovalam Beach was among the most prominent tourist spots in India during the hippy era. There are three beaches at Kovalam, separated by outcrops jutting out to the sea. The larger one is called Light House Beach for its 30 meter high light house. The second largest one is Hawah Beach. Once you reach Kovalam check in to the hotel. Relax in the hotel for the rest of the day. After settling down set out on sightseeing in Kovalam. Enjoy the sun setting in Kovalam Beach. Overnight stay at the resort. Enjoy the morning at your leisure and proceed for a full day sightseeing from Kovalam to Trivandrum. Thiruvananthapuram literally means Ananthapuri, "the city of Ananthan", the Thiru (Great/Lord) Ananthan's Puram (City). Ananthan is the king of serpents on whom Padmanabhan or Vishnu reclines. 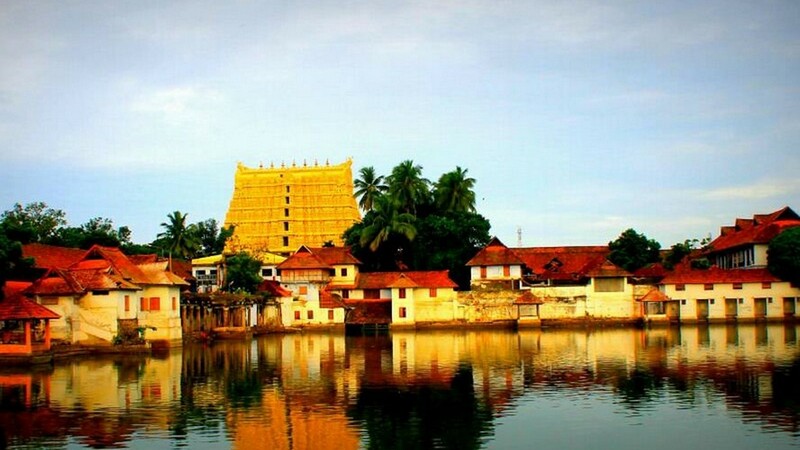 The temple of Anantha, the Sri Padmanabhaswamy temple is the most religious icon of the city. Padmanabha Swamy temple opens at 4pm and darshan is available till 8pm. Pants, Jeans, Bermuda etc are not allowed inside the temple. Gents should wear Dhoti and ladies should wear saree / churidar. Other sightseeing places are Kuthiramalika Palace Museum, the name Kuthiramalika means 'palace of horses' derived from the frieze of 122 wooden horses on the exterior walls. Veli Tourist Village is famous for a waterfront park with a wide range of aqua entertainment facilities like fishponds, wading pools and landscaped garden. Shangumugham Beach where one can watch the amazing sunset.Overnight stay at the resort at Kovalam. Accommodation with the mentioned hotels for 10 nights with room and meal plans as specified.